In this course we are going to build real world ios application. That you can post to appstore. When we finish with the course, you are going to have an app ready to post to AppStore. 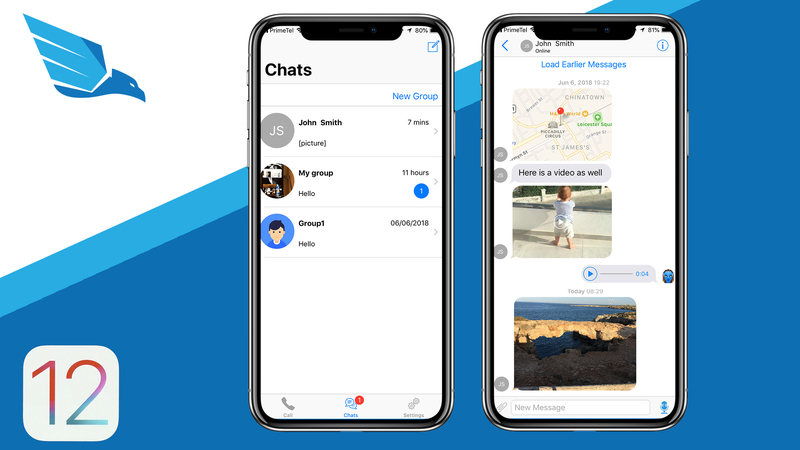 This iOS12 chat application can easily replace your native iOS chat app or Whatsapp. It will have all functions that whatsapp provides. The course will use latest xCode (xCode10), latest iOS (iOS12), latest Firebase Firestore real time database, Sinck Call, One Signal Push notification and many other 3rd party libraries. We will use JSQMessagesViewCntroller to display chat section. This is the biggest tutorial of its kind written in Swift and the mos complete iOS chat application tutorial out there. We are going to go through every line of code together, I always explain in details all the functions I implement. This course is NOT beginner level course. You need to know yor way around the xCode, be familiar with it, you have to have basic knowledge in Swift and application building. We are going to start from scratch and build the application together. All assets will be provided by me. I will type and explain every line of code. the course is around 25-35 hours long. and by the time we finish, you will learn a lot of new things even if you are experienced iOS developer. The curse will teach you how to write clean code, structure your app development, so even if you get back to your code in few years, you can read and understand it clearly. Please watch the promo video to see the ready app that we will have when we are done. ⟵New project is coming out soon, you want to back it up?